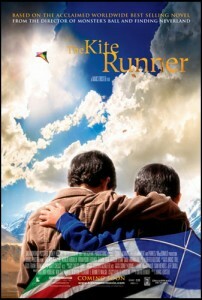 Golden Globe-nominated director Marc Forster (Stranger Than Fiction, Finding Neverland and Monster’s Ball) brings to life Khaled Hosseini’s bestseller with a globally diverse cast and crew, mixing a remarkable group of non-actors from Afghanistan and Central Asia with an accomplished international cast. The result is a journey into a new world – through a universal human story that speaks to anyone who has ever yearned for a second chance to make a change and find forgiveness. DreamWorks Pictures, Sidney Kimmel Entertainment and Participant Productions present The Kite Runner, a Sidney Kimmel Entertainment Production and Parkes/MacDonald Production released by Paramount Classics. Directed by Marc Forster and based on Khaled Hosseini’s best-selling book, The Kite Runner is written by David Benioff (Troy, Stay). The film is produced by William Horberg (Cold Mountain, The Talented Mr. Ripley), Walter F. Parkes (Gladiator, Catch Me If You Can), Rebecca Yeldham (The Motorcycle Diaries) and E. Bennett Walsh (KILL BILL). The executive producers are Sidney Kimmel, Laurie MacDonald, Sam Mendes and Jeff Skoll. This entry was posted in 2007, Issue 57 (Nov/Dec), KL Archive and tagged film, kite runner, movie.